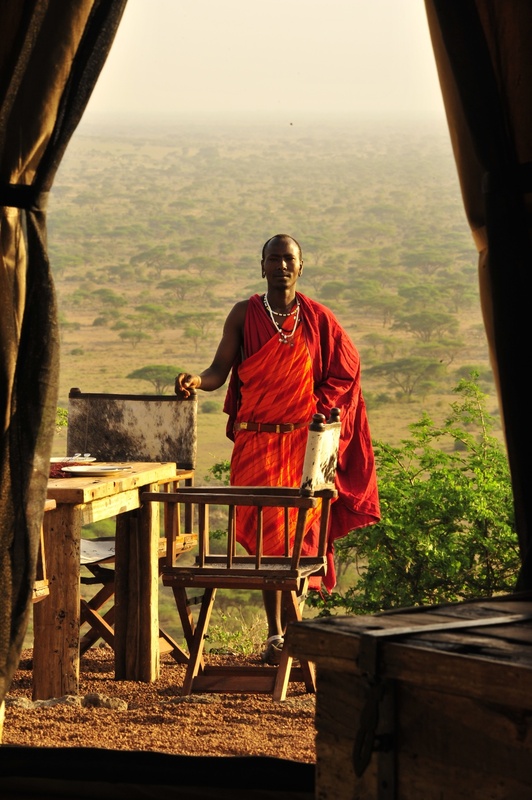 Shu’Mata is Maasai for the mystical place of perfection above the clouds. 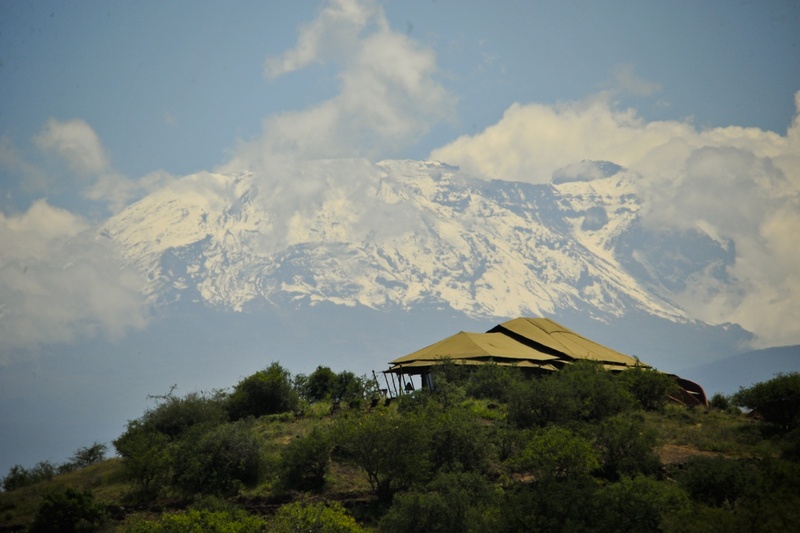 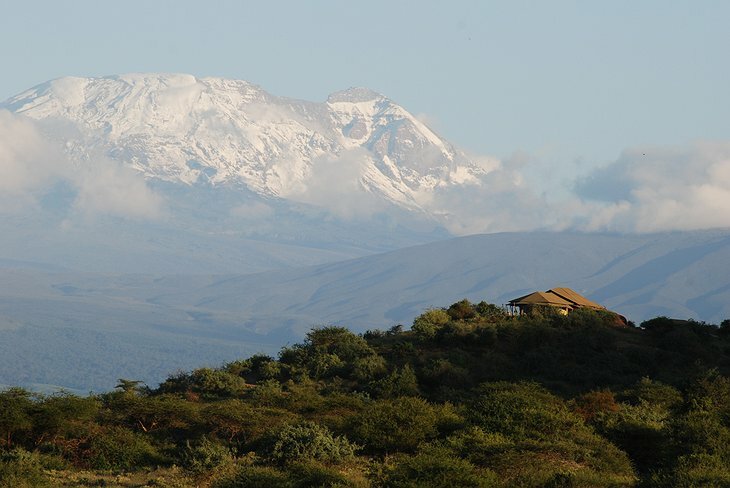 And when you gaze at the ice-flashing peaks of Kilimanjaro from Shu’Mata Camp you will see why the tribesmen chose this name. 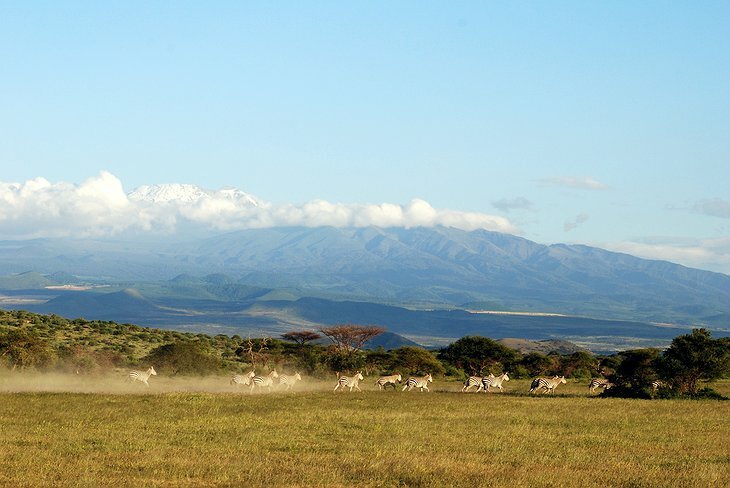 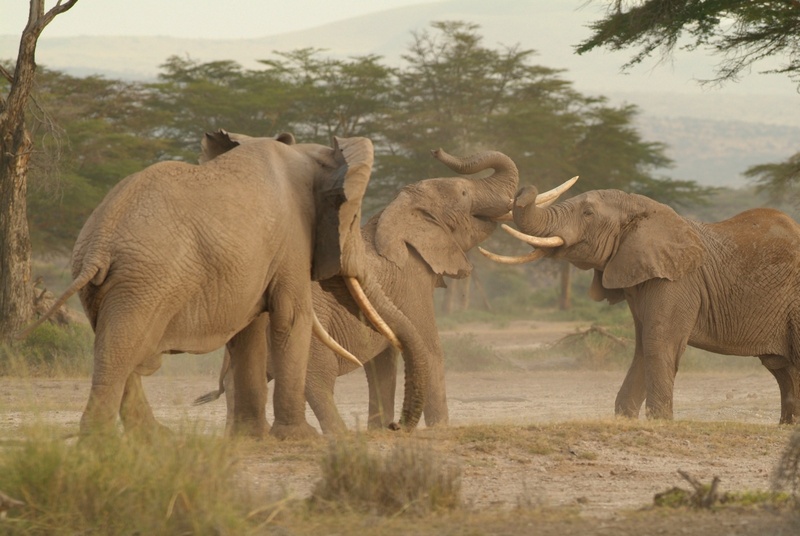 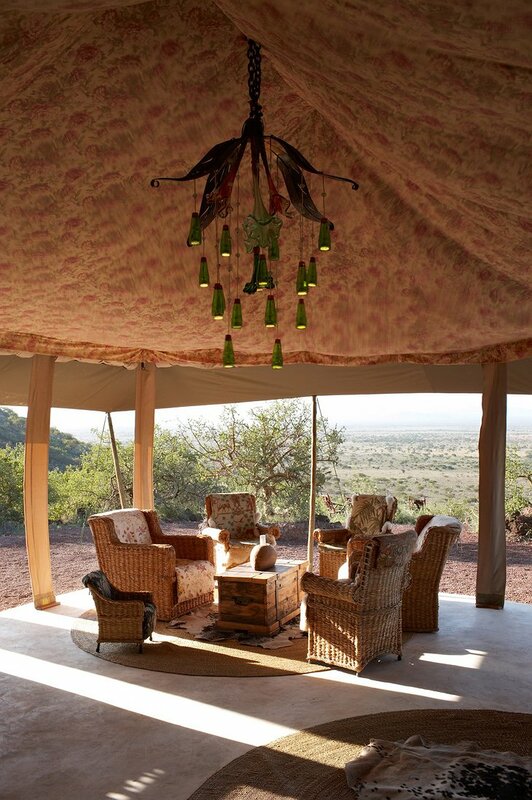 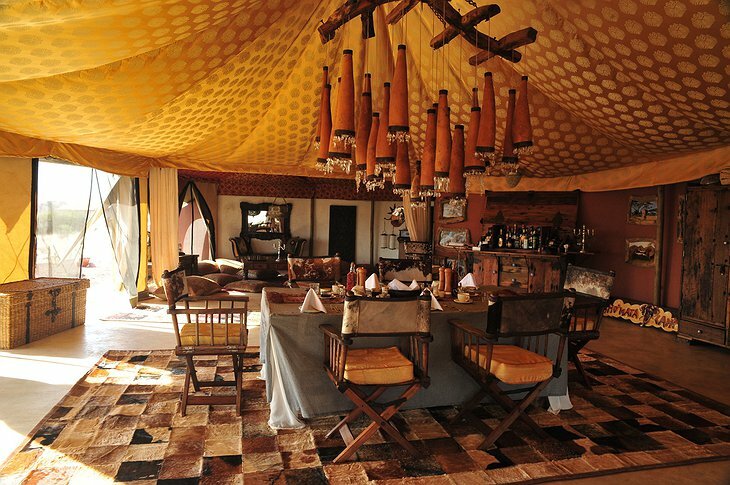 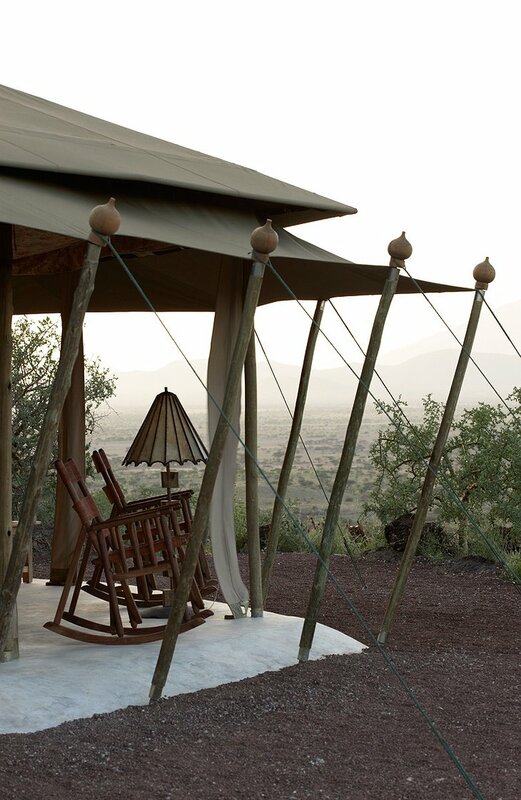 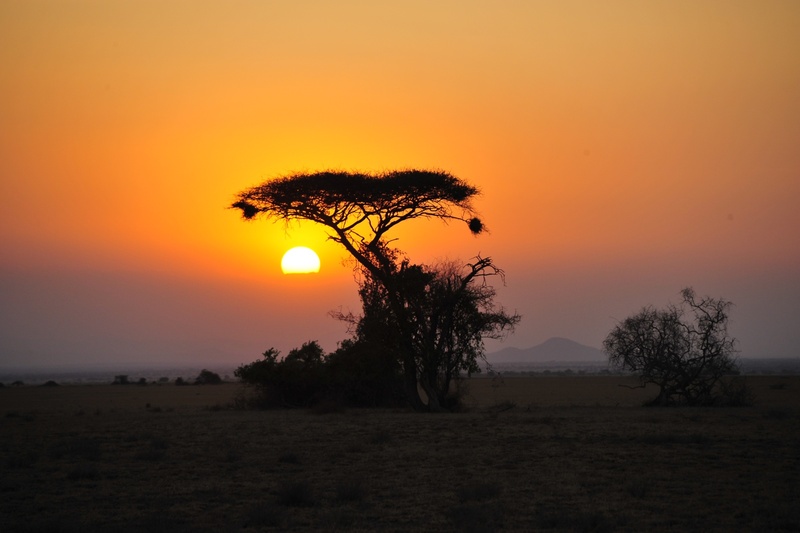 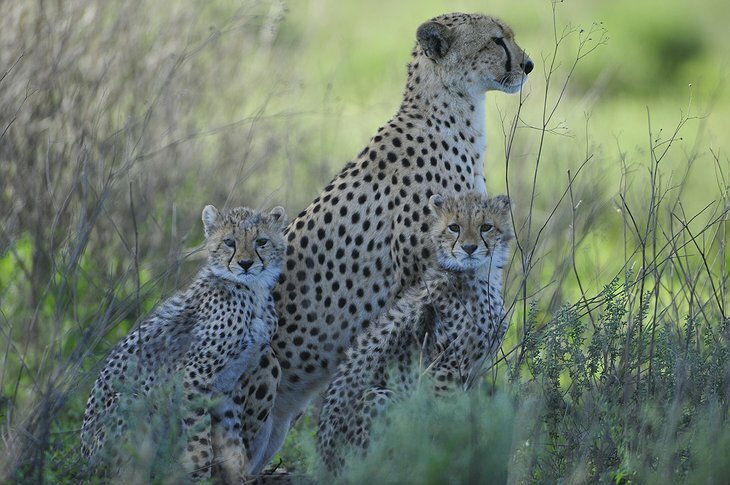 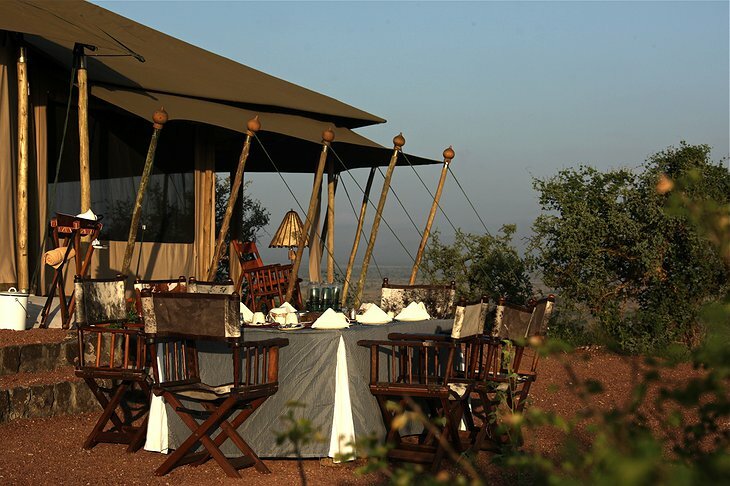 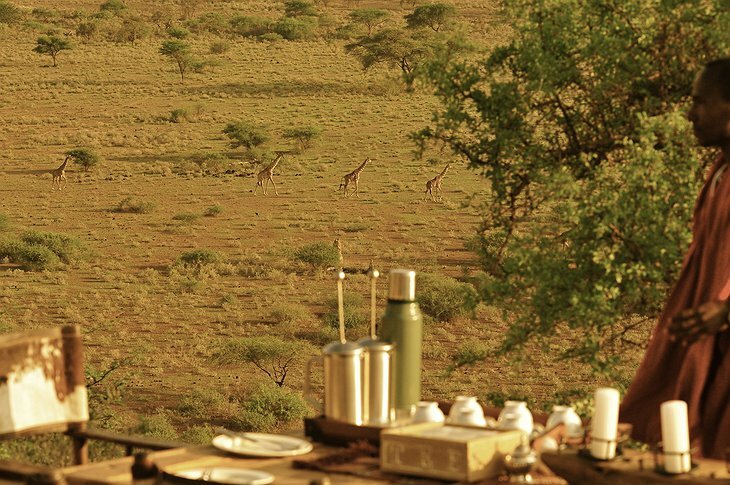 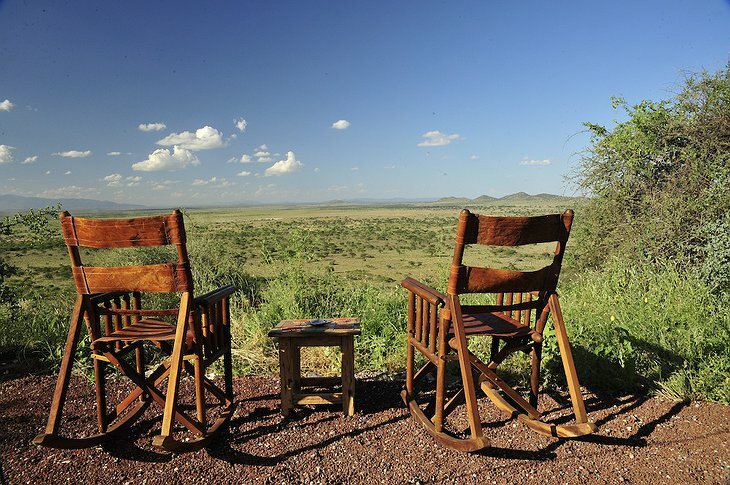 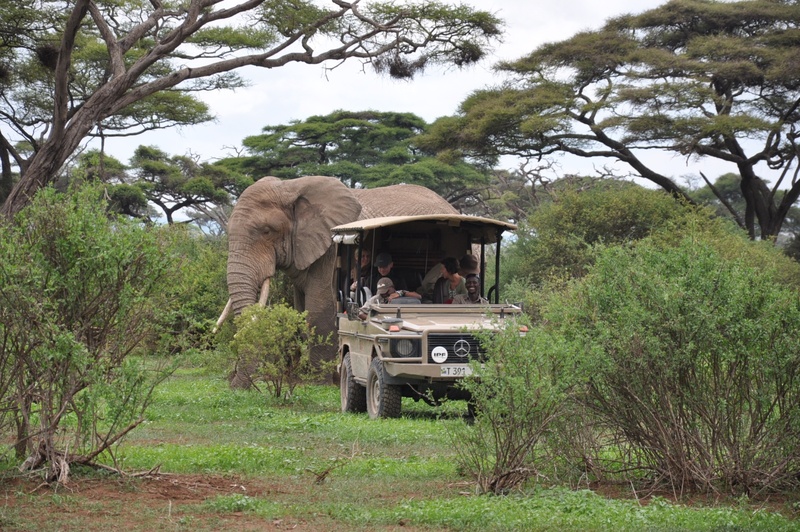 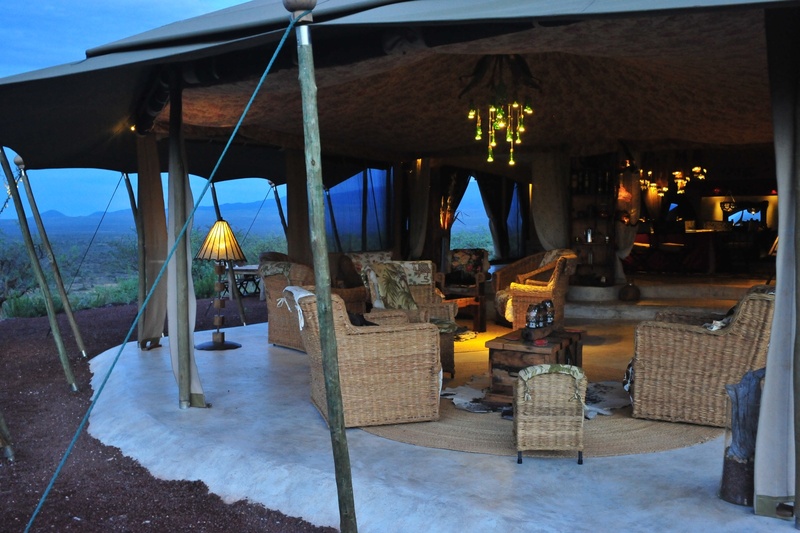 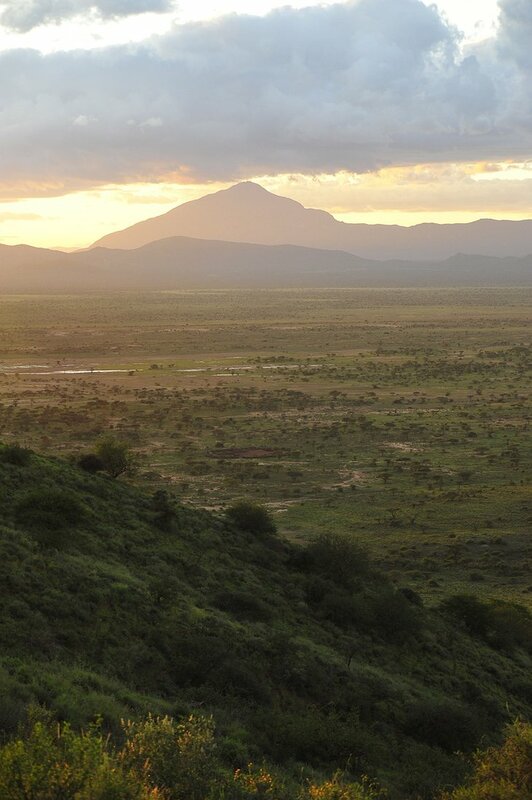 The camp itself is at the foot of the highest mountain in Africa which is still high enough for you to see for miles – out across the Savannah with herds of wildebeest, elephant and zebra sweeping majestically across the horizon. 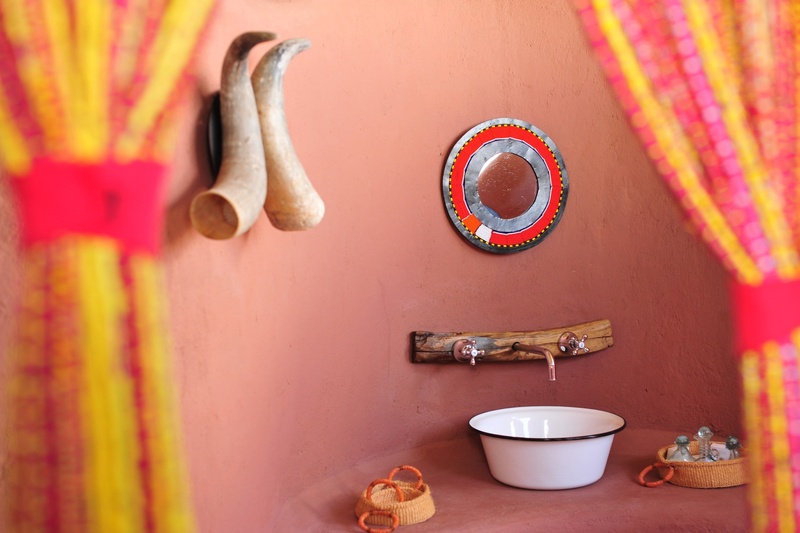 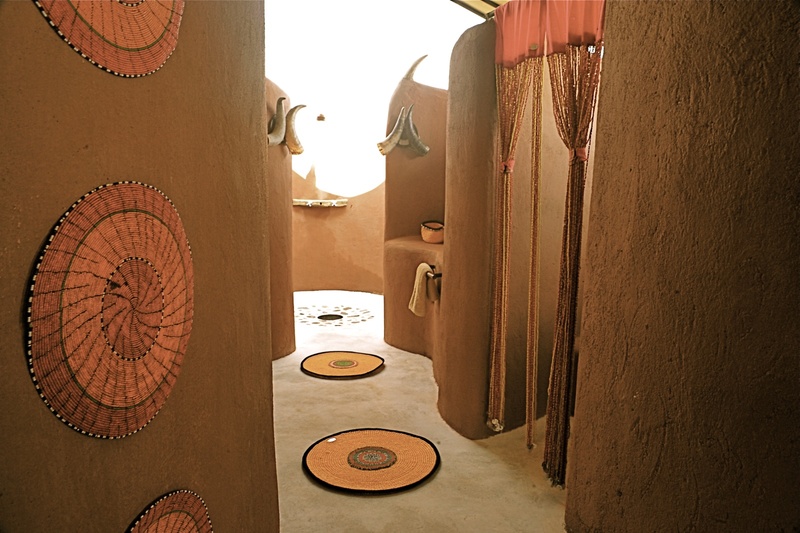 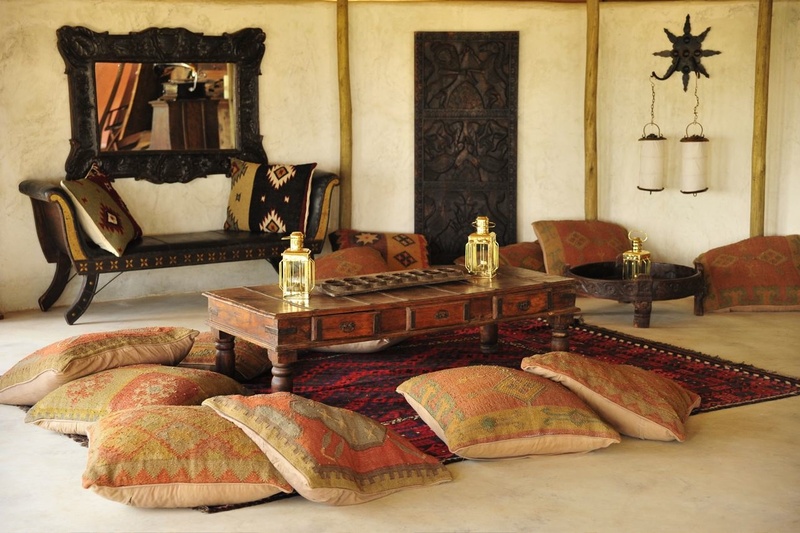 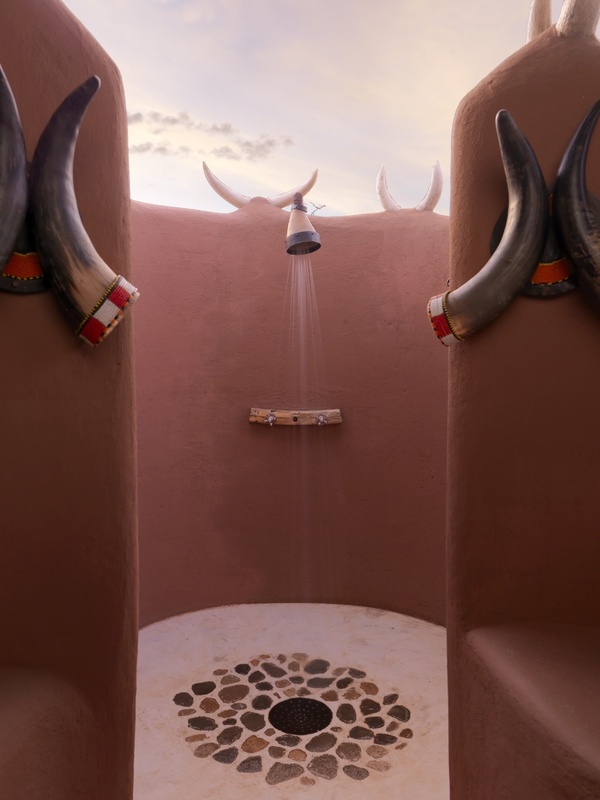 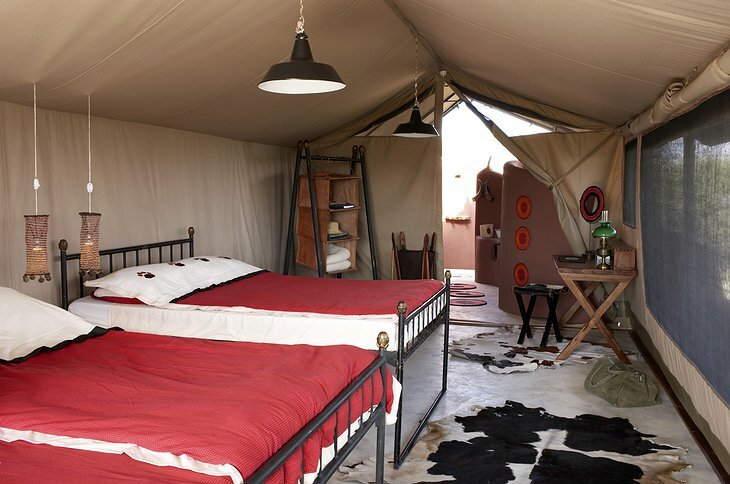 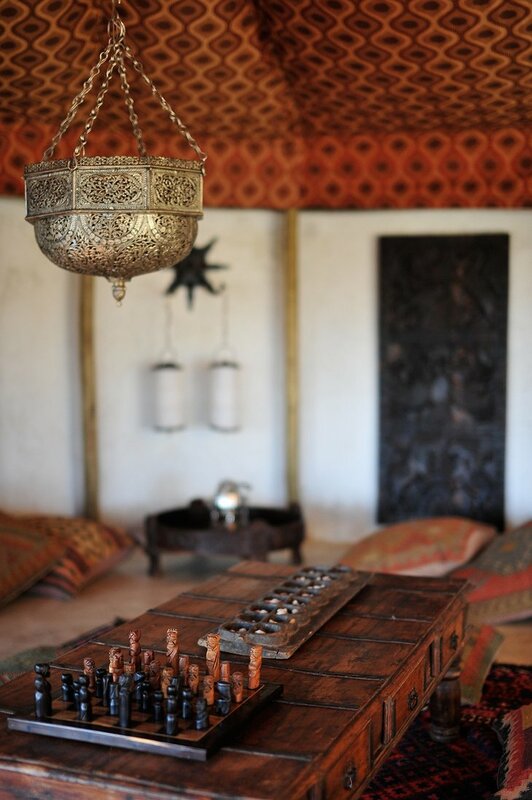 You stay in a comfortable safari tent with an en-suite bathroom that is decorated in the 1920s style with colourful Maasai art and exotic rugs. 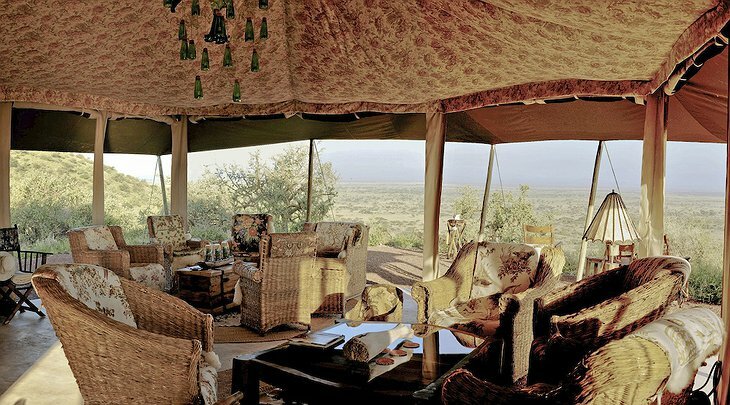 You have your own veranda and open fireplace so you can sense something of what the Dark Continent was once like. 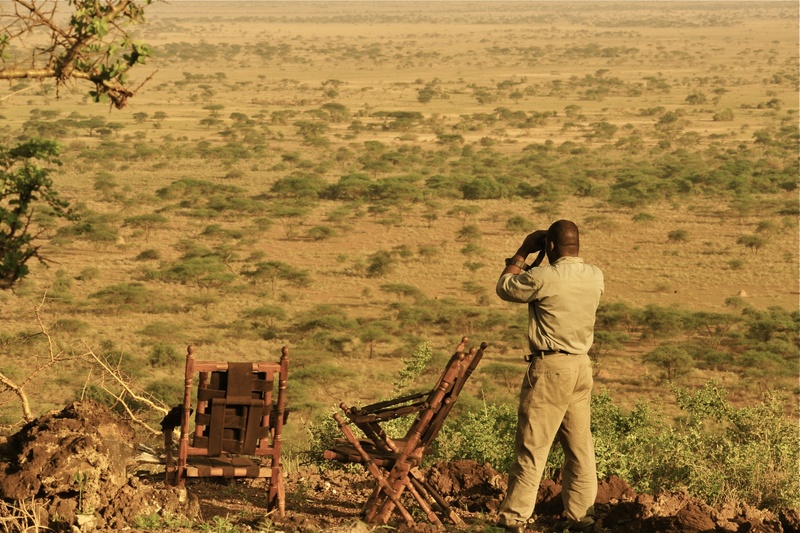 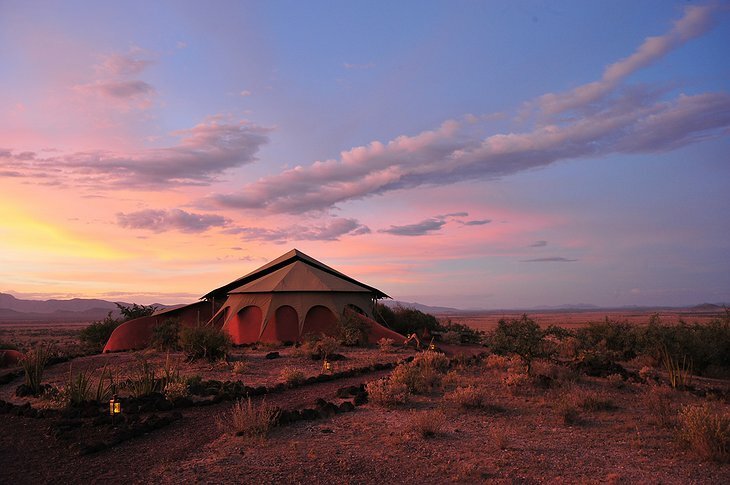 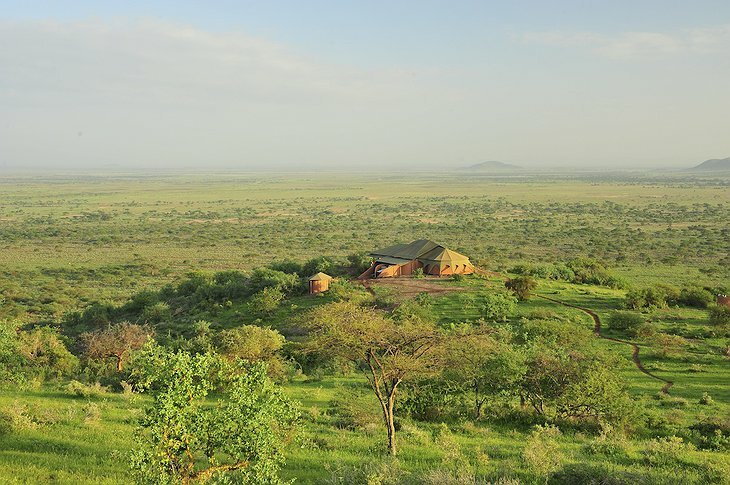 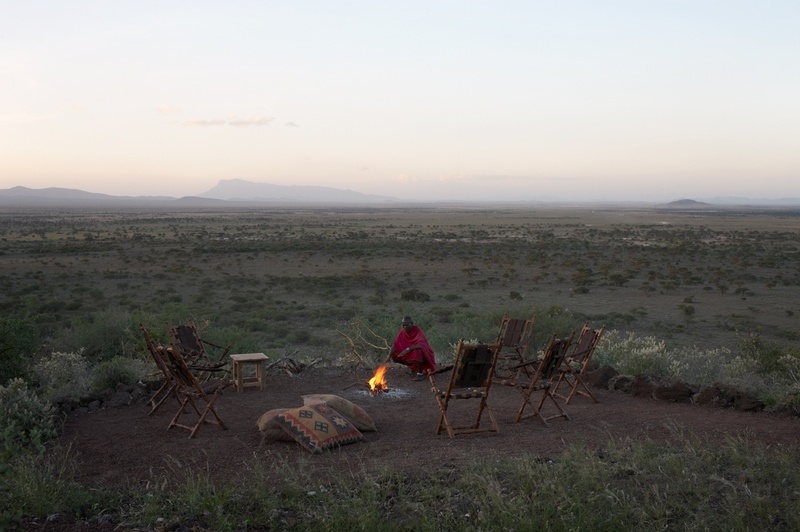 Further out into the bush then its sister Hotel, the Hatari Lodge, the Shu’Mata Camp makes for a more intense experience deep in the Maasai lands where you are out among the animals.